Today is our birthday – ‘our’ meaning that of my twin and I. I will be seeing my sister at lunch time and then husband and I are off to Ezard for dinner. Can’t wait! The day has started off very well with a yummy breakfast prepared by Paul. 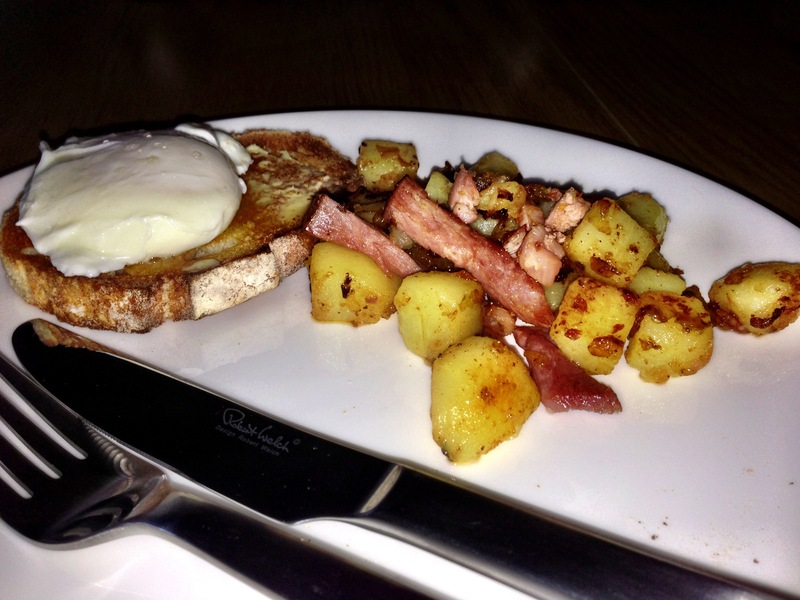 Poached egg on sourdough with a side of ham hash. Yummy!